Tobias Weaver helped lead the Thunderbirds to a 13-2 season and their first berth in the state semifinals. SAN ANTONIO — San Antonio has a long and proud tradition of sending some of its best high school football players to the country’s service academies. Wagner quarterback Tobias Weaver, who is expected to sign a letter of intent with Navy on Wednesday, got a crash course on that history when he made a recruiting visit to the U.S. Naval Academy in Annapolis, Md., two weekends ago. 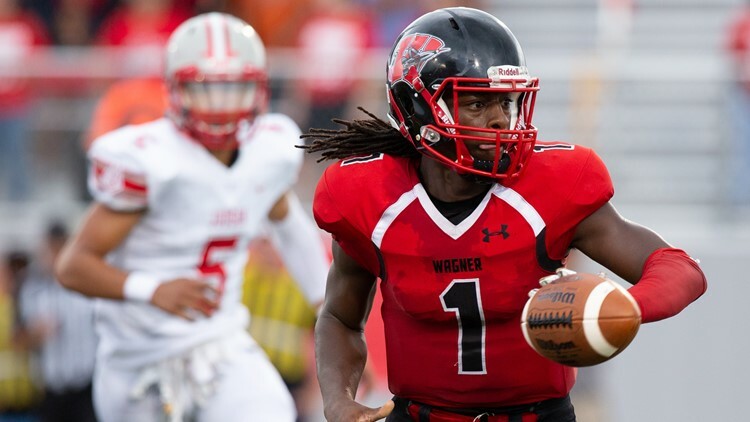 Weaver is expected to be the only player from a Greater San Antonio school to sign a letter of intent Wednesday, the first day of the NCAA’s traditional signing period. Most of the area’s top recruits signed during the early signing period in December. Weaver, who also had a scholarship offer from Army, committed to Navy on the Tuesday after his recruiting visit. 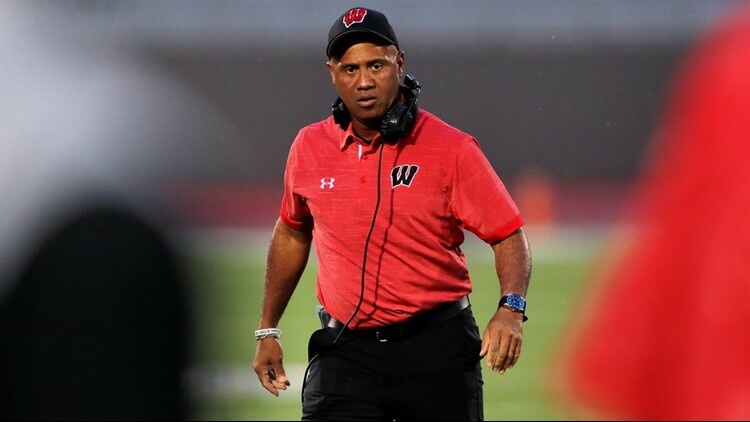 Midshipmen head coach Ken Niumatalolo was so impressed with Weaver that he accompanied assistant coach Joe DuPaix for a follow-up visit to San Antonio on the day Weaver committed. Born in Rochester, N.Y., Weaver started school in Orlando, Fla., and didn’t move to San Antonio until the summer before his seventh-grade year. 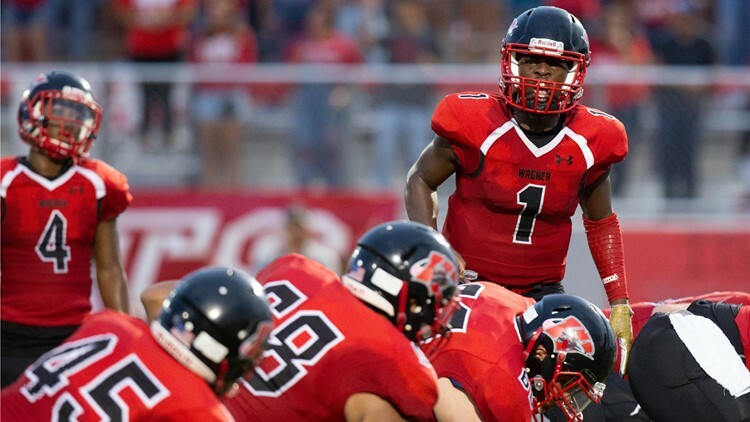 A deft operator of the triple-option offense, Weaver piled up more than 2,600 yards of total offense and had a hand in 40 touchdowns last season. He helped lead Wagner to a 13-2 finish and a berth in the Class 5A Division I state semifinals. Wagner quarterback Tobias Weaver, getting ready to pitch against Judson last year, helped lead the Thunderbirds to the state semifinals. Standouts such as Scott Thomas, David Evetts, Ram Vela and Noah Copeland are among the ranks of San Antonians who have played for Air Force, Army or Navy through the years. Thomas, a 1982 Jay graduate, went on to an All-America career as a safety at Air Force and was inducted into the College Football Hall of Fame in 2012. Evetts starred at Army and Vela and Copeland had outstanding careers at Navy. The Midshipmen have four players from Greater San Antonio schools on their 2019 roster, junior outside linebacker Ian Blake (Brandeis), sophomore wide receiver Mychal Cooper (Taft), junior offensive tackle Billy Honaker and junior slotback CJ Williams (Steele). “I had a chance to sit down and talk with CJ and (Blake), and they said they love it up there,” Weaver said. “They both said that when they were in high school, they thought they never would join the military. They didn’t think the military was for them. Weaver will attend the Naval Academy’s prep school in Newport, R.I., for a year after graduating from Wagner and enroll at the Academy for the 2020-21 school year. He will have to serve in the military for five years after earning his bachelor’s degree. Navy recruited Weaver as a slotback, but the more film the coaches watched of him executing Wagner’s prolific triple-option attack, the more they became convinced he could play quarterback for the Midshipmen. All of the service academies run a version of the triple option. Wagner quarterback Tobias Weaver piled up more than 2,600 yards of total offense and had a hand in 40 touchdowns as a senior last season. Like most Texas high school teams, Wagner ran the spread offense before going to the triple option in the offseason before Weaver’s junior year. Ironically, Weaver didn’t like the offense initially. “I thought it was going to limit my opportunities to be recruited as a quarterback because not a lot of schools run the option,” Weaver said. “I really thought I was going to have to change my position for college. I was getting ready to train as a DB (defensive back) or wide receiver. Wagner coach Charles Bruce spoke highly of Weaver’s quarterback skills and his leadership on and off the field. Weaver, who is 5-foot-11 and 180 pounds, completed 68 of 105 passes with two interceptions for 1,247 yards and 21 TDs as a senior. He also ran for 1,427 yards and 19 TDs, and averaged 10.4 yards per carry. Wagner coach Charles Bruce led the Thunderbirds to their first district title in school history last season, when they finished 13-2. College coaches are not allowed to comment on recruits before they sign their national letter of intent. Asked why he thought Navy coaches changed their minds and started recruiting Weaver as a quarterback, Bruce said: “I think he was bigger than they thought he was. Once they saw him in person, they realized how big he was. Plus, he’s so fast. Army was the only other FBS school to offer Weaver a scholarship. He also had an offer from Concordia (Neb.) University, which plays in the NAIA. And an opportunity to do what he’s dreamed about for years – play for an FBS school.